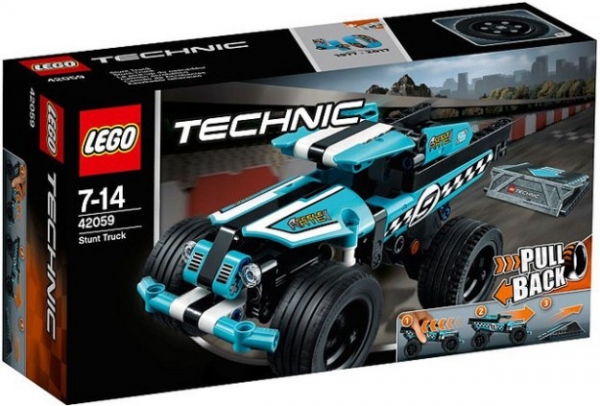 Power up the rugged LEGO® Technic Stunt Truck, featuring a fresh blue, black and white color scheme with checkered racing stickers, sturdy front bumper and wide blue rims with low profile tires for ultimate grip. 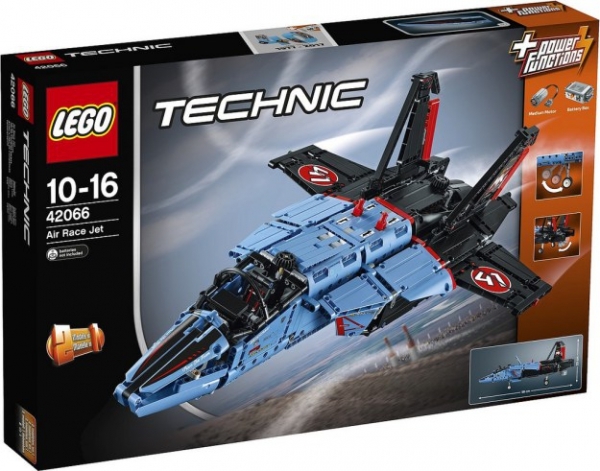 Enjoy a rewarding building experience with this ultra-cool, aerodynamic LEGO® Technic Air Race Jet, featuring an awesome blue, black and red color scheme with cool racing stickers and an array of authentic details and exciting motorized functions. 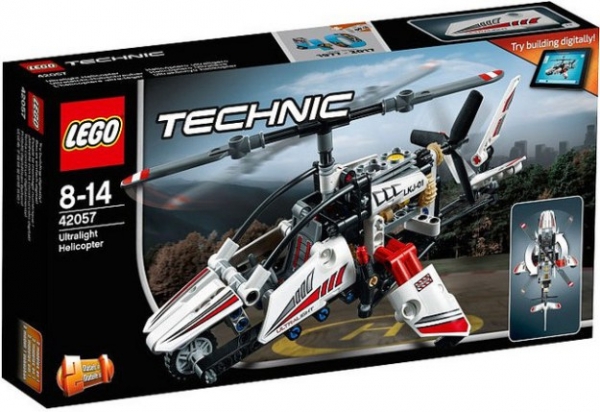 Even if it’s named at “helicopter”, the Lego Technic 42057 is a autogyro/gyroplane with a big main rotor and a vertical rotor on the rear. 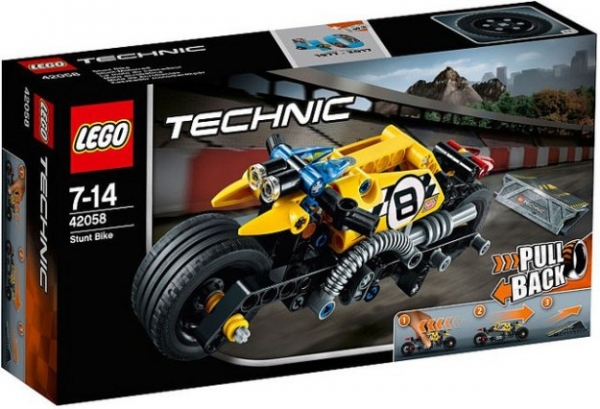 Prepare for the ride of your life with this awesome LEGO® Technic Stunt Bike, featuring a striking yellow and black color scheme with checkered racing stickers, front and rear lights, cool exhaust pipes and extra-wide rims with low profile tires for extra grip and balance. 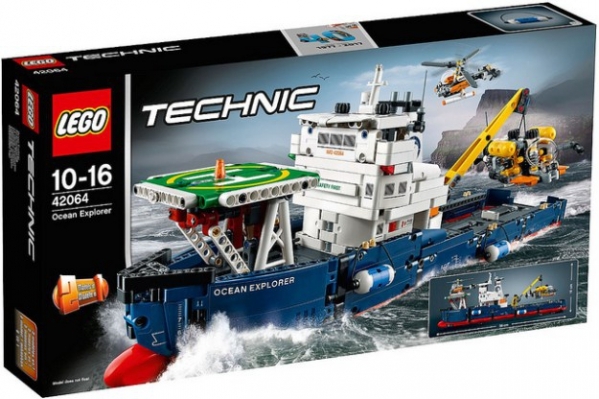 Head for the high seas with this cool LEGO® Technic Ocean Explorer, featuring a huge ship with a dark-blue, red and white color scheme, detailed hull with bulbous bow and two fenders, large captain’s bridge, crane and a landing pad, plus a submarine and a helicopter! 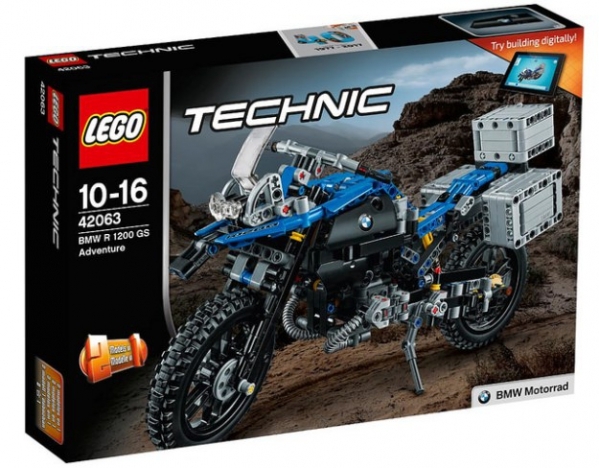 A detailed model of the BMW R 1200 GS Adventure developed by BMW Motorrad and LEGO Technic goes on sale from 01 January 2017. 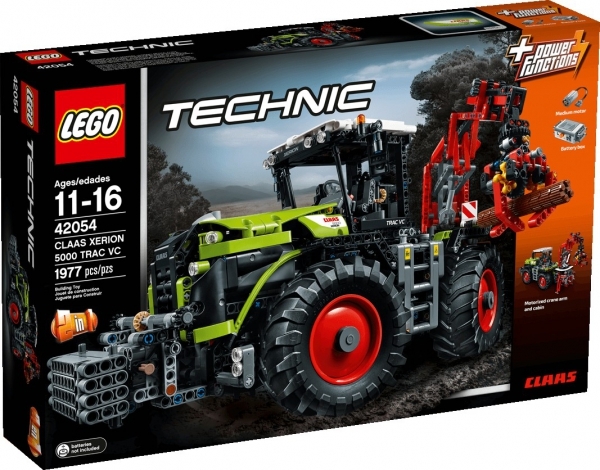 Experience the ultimate in farming technology with this 2-in-1 LEGO® Technic reproduction of the high-powered CLAAS XERION tractor. 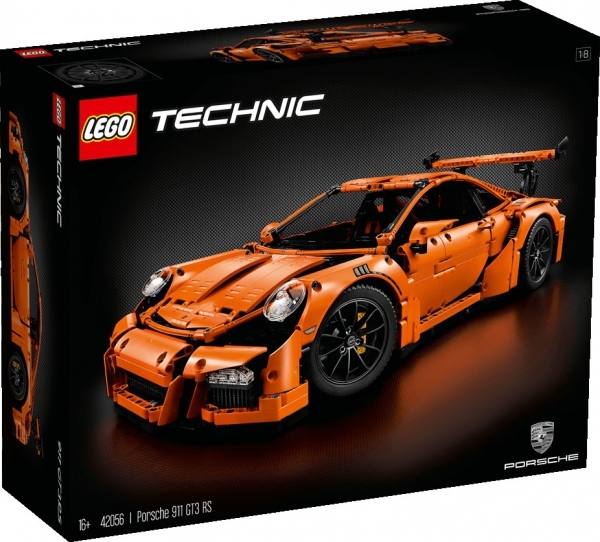 This meticulously detailed replica comes with the trademarked green, gray and red colour scheme and an array of authentic features and functions. 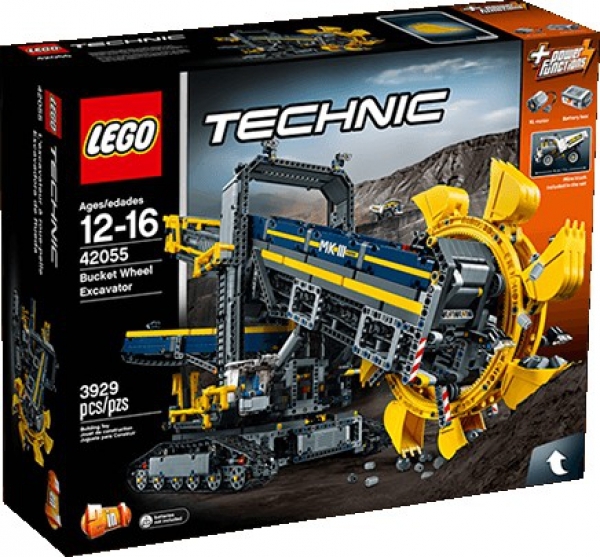 Enjoy a rewarding building experience with this awesome 2-in-1 LEGO® Technic model. 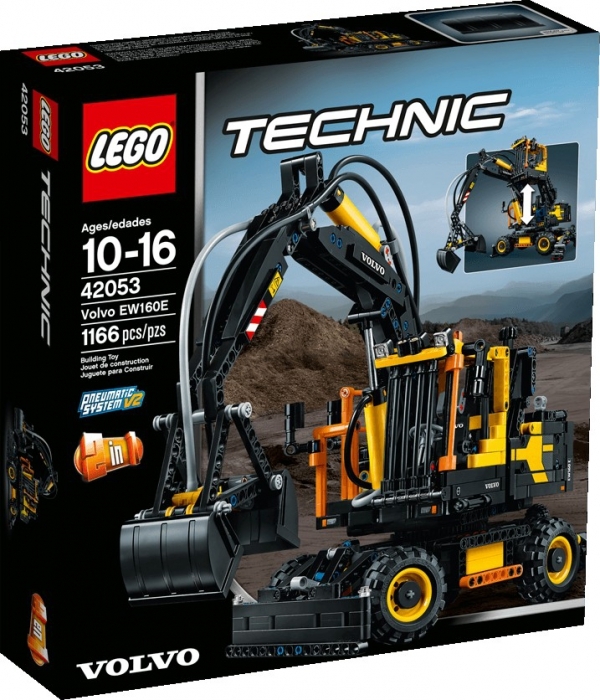 Developed in partnership with Volvo Construction Equipment, this meticulously detailed replica of the Volvo EW160E, with its classic yellow and black color scheme, has all the features of the real-life wheeled excavator.